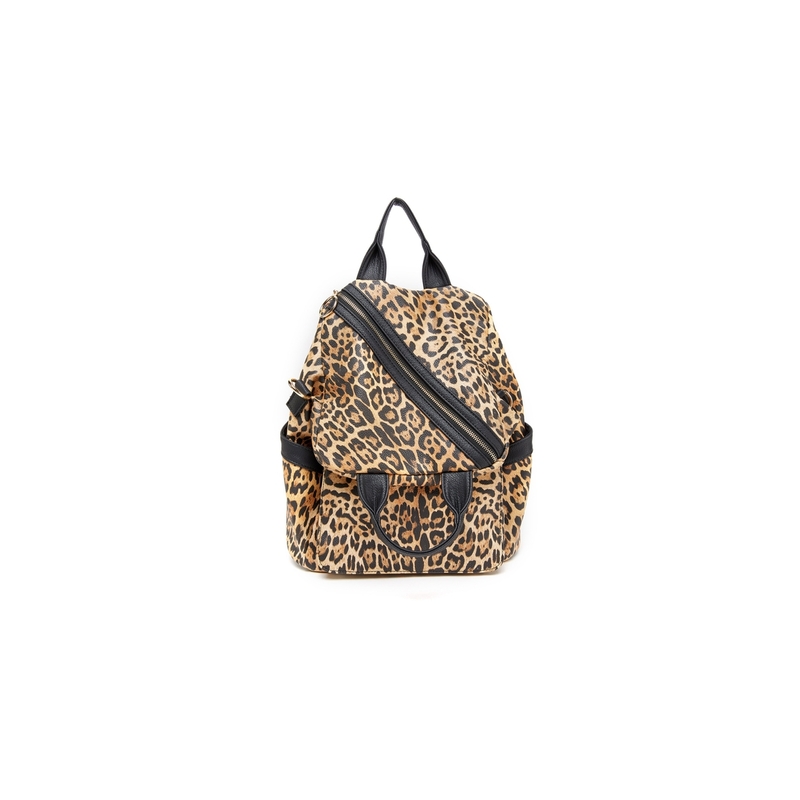 This versatile textured animal print backpack comes with specially designed straps that can be converted to a shoulder bag and crossbody. It also features side slip pockets, a front zip pocket, and a back slip pocket with a magnetic lock. The interior features polyester lining, wall zip pocket, and multiple slip pockets.